For a stay of less than 90 days, US citizens do not need a visa for tourist or business travel to this country, but a valid US Passport, with 3 months validity remaining after your departure from Finland is required. Biometric visas with fingerprints will be introduced on 15th May 2014 when Finland with other Schengen countries begins to implement VIS (Visa Information System) of the visa customers at all diplomatic missions in North America. Please note, that due to biometrics (fingerprinting) a personal appearance, at the consulate, is always required when submitting the application. 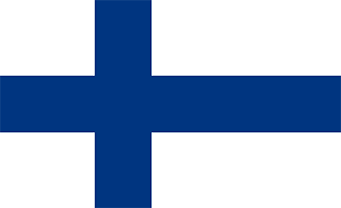 You can apply at one of 2 Finnish consulates in the USA, depending on where you live. A valid, signed US passport. The passport must have at least 3 months remaining after the completion of your stay in Finland, and contain at least one blank visa page. An invitation letter stating the purpose of the trip and the validity required. If you cannot get an invitation letter, you must have the name and address of your host, or hotel confirmation for a single entry visa only. Multiple entry must be requested on the invitation. (ie, “Please issue a one year multiple entry visa”). Proof of international medical health insurance ($37,500 minimum coverage). Copy of Insurance certificate or detailed letter from the insurance company showing international coverage and the dollar amount of that coverage. Copy of flight itinerary or airline tickets. Proof of valid US visa status (ie, a copy of the front and back of the green card or original I-94 card with valid US visa in passport). Your application will be hand carried to the consulate and is usually processed in 3-4 business days at the consulate. Some nationalities can take up to 10 working days or more, at the consulate. Please allow sufficient time for processing.